Join Blue Hawaiian for their Maui Spectaular. The Maui Spectacular is a combination of Blue Hawaiian's West Maui and Hana/Haleakala Tours –plus an exciting extra bonus! 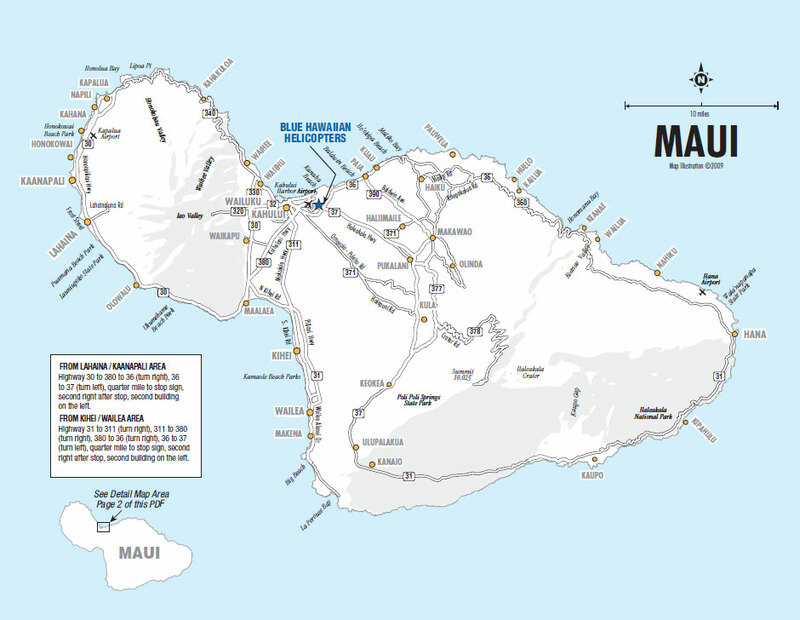 This detailed tour of the entire island begins with a flight exploration of the West Maui valleys. Next comes the bonus: we land at our scenic and exclusive remote landing site at Ulupalakua Ranch, on the slopes of Haleakala. Enjoy refreshments and the beautiful scenery and pastoral setting for approximately 20 minutes. Then the flight continues for a 45-minute exploration of East Maui. Sights include Hana and Haleakala.